Posted by Rob Schaerer on Friday, October 31st, 2014 at 2:30pm. 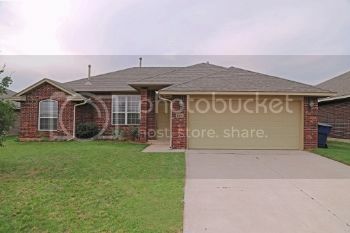 Close to OU with new paint and new carpet! Price now reduced to $149,900! Open layout and split bedroom floorplan with a corner fireplace in the living area. Kitchen has lots of counterspace and a pantry. Master bathroom has a large closet, double sinks and separate shower and tub. Nice yard with a full sprinkler system.